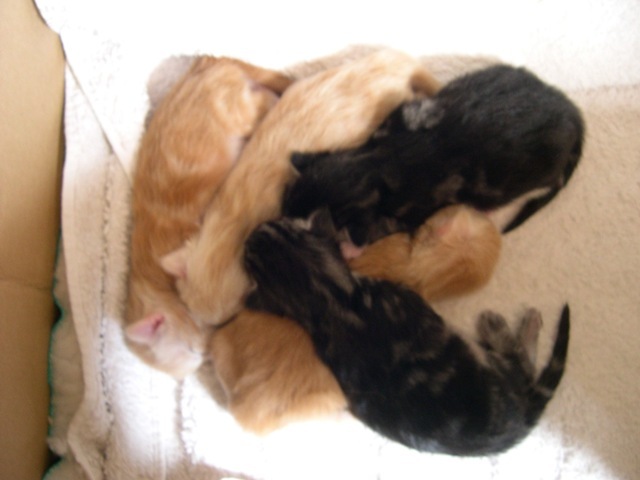 Newborn kittens have limited ability to regulate their body temperatures. Until they develop such control, they spend a lot of time cuddling next to their mother. When their mother is absent from the nest, they huddle together in a pile to conserve heat. It reminds me of the behaviour of Emperor penguins who cluster together in a snowstorm. If the kittens’ body temperature drop too much, this inhibits their suckling reflex, so it is important that they should be kept warm enough. 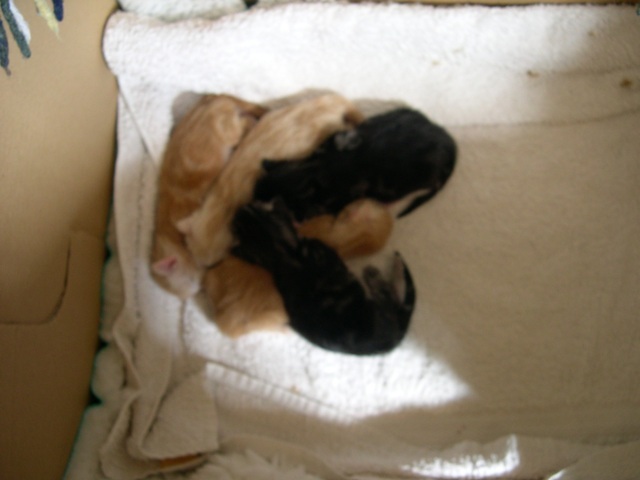 Some breeders use heating pads or hot water bottles wrapped in towels or infra-red lamps. Some believe that artificial heating should only be supplied if it is snowing outside and the temperature in the room is cold. Teddy Bumbledore: 13 April 2005 – 28 November 2015 … Metacam kills cats!